This chapter is focused on a concept-based query language that permits querying by means of application domain concepts only. The query language has features making it simple and transparent for end-users: a query signature represents an unordered set of application domain concepts; each query operation is completely defined by its result signature and nested operation’s signatures; join predicates are not to be specified in an explicit form, and the like. 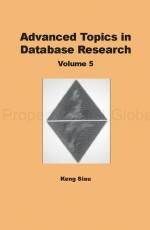 In addition, the chapter introduces constructions of closures and contexts as applied to the language which permits querying some indirectly associated concepts as if they are associated directly and adopting queries to users’ needs without rewriting. All the properties make query creation and reading simpler in comparison with other known query languages. The author believes that the proposed language opens new ways of solving tasks of semantic human-computer interaction and semantic data integration.